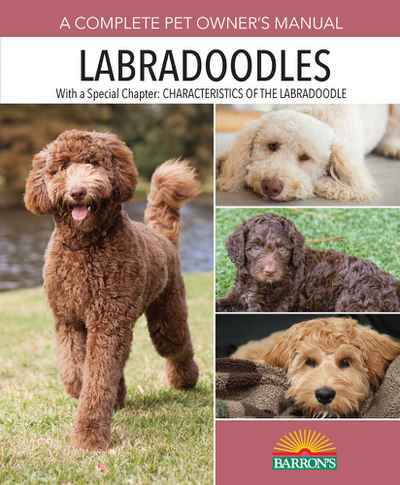 The perfect resources for Labradoodle lovers! Barron’s Complete Pet Owner’s Manual on the Labradoodle will teach you how to make life with your delightful, funny, smart dog both comfortable and enjoyable. Includes information on housing, health care, behaviour, training, grooming, and more. This must-have manual offers important advice and tips for keeping your newest family member happy and healthy, and also includes lots of full-colour photographs of charming Labradoodles. These friendly and energetic dogs came into existence in 1988 when a breeder looking for a service dog sought to combine the low-shedding coat of the poodle with the gentleness and eager-to-please trainability of the Labrador Retriever. The result? A breed that is now often used as a guide dog, allergen-free pet, and beloved family member.